Andrew John Clarke, better known throughout the drum and bass world as The Executioner aka Andy C is hands down one of the greatest DJs to have ever touched a set of turntables. Known specifically for his signature mixing style the ‘Double Drop’, his sets are fast-paced, bass-heavy and never disappointing. In some genres, people will argue about who is the greatest DJ, but in the drum and bass scene, that accolade has been repeatedly given to Andy C - he’s managed to chalk up over 40 awards! Andy C set up his record label RAM Records with the help of his close friend Ant Miles in 1992. At that point, the drum and bass scene was an underground world of illegal warehouse raves, pirate radio stations and cassette pack mix tapes shared between mates. The first release that got his talent noticed was RAMM04 – released as Origin Unknown with the seminal drum and bass track ‘Valley Of The Shadows’. Having produced this track at the tender age of 16, he was barely old enough to be DJing out at the raves he’d been going to with his mates and his sister. He took the track to his local record shop and to this day, it is the one track on the label that has more re-presses than anything else. By 1996 drum and bass was truly in its heyday and RAMM17 was a impressive release featuring Quest and Night Flight. With both tracks having a smooth, funk and technical sound, it was sure to seal Andy’s spot in history as one of the greatest producers of his generation. 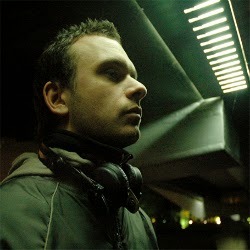 With quotable samples appearing in most of his early releases, and in some of his signings to his label, it has been said that RAM has its genesis in sci-fi. Nowadays you’re most likely to find Andy C on the road – he is notorious for travelling up and down the country to attend multiple gigs on the same night – as well as jet setting overseas for huge festivals like Electric Daisy Carnival, Ultra and Outlook. He’s become a mainstay of the British festival circuit – summer 2014 saw him perform at 8 different UK festivals alone, with barely a day’s rest in between dates. He’s definitely got an eye for talent – as the head of RAM records he has signed the likes of Sub Focus, Wilkinson, DJ Fresh, Chase and Status and Rene LaVice. He’s well known for showcasing his records talents – especially when you consider the Nightlife series he’s put out over the last two decades. Nightlife 6, his most recent mix, spanned 3 CDs and included massive hits from Calyx & Teebee, Wilkinson, Sub Focus and 2 new tracks from the big man himself. This in turn led to an intense few months of tours – with Nightlife events all over the country, he gave himself 4 hours at each venue to showcase his skills. I was lucky enough to attend two of these nights – one at Warehouse Project in Manchester and another at Mint in Leeds and on both nights the sets were epic. As well as producing his own tunes, Andy C is well known for his remixes, taking songs from all kinds of genres and giving them a touch of drum and bass magic. Having remixed the likes of Major Lazer, Rudimental and Porter Robinson, it’s clear to see he has undeniable talent. He’s also a huge fan of testing tracks before a release – it’s not uncommon to hear tunes a good 6 months before they’re released (as has been the case with his latest release Heartbeat Loud). I first heard this at his 6 hour set at Electric in Brixton – that piano riff is damn catchy and has been stuck in my head for months! So what next for Andy C? Well, Heartbeat Loud feat. Fiora will be released on November 9th, but before then he’s got potentially his biggest gig to date at the O2 Brixton Academy on Halloween. Tickets for his highly anticipated Andy C All Night gig sold out 3 months in advance following on from the success of his previous show at Electric. It will be his third 6 hour set in London – I’m stoked to be going to this, if it’s anything like the last one it’s going to be an intense journey through the history of drum and bass – I can’t wait.